Our 2012 SHOT Show Media day adventure kicked off with some serious firepower. After arriving at the Boulder City Rifle range and signing the obligatory legal release forms, Jason Baney and I made a beeline for the Colt shooting bay where an amazing Bulldog 1877 repro Gatling Gun was on display. 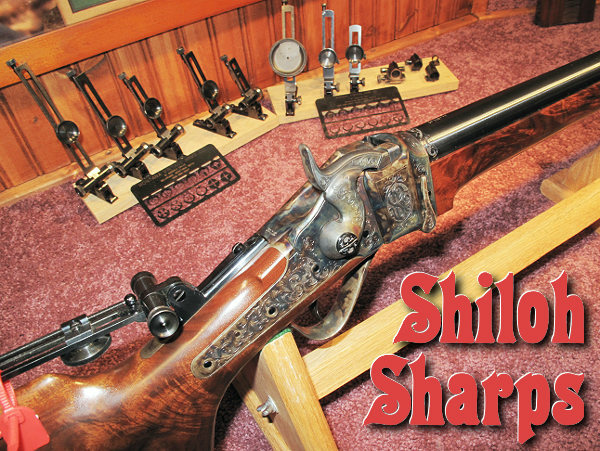 These fully-functional, authentic replicas are crafted by the Bulldog company for Colt. You can buy one if you have a cool $50,000.00 to spend. You heard it right — fifty thousand dollars. Jason is friends with Gatling project director John Buhay, who let both of us send some 45-70 rounds downrange. While the Bulldog Gatling can dispense a prodigious amount of lead in a few seconds (rate of fire determined by how fast the operator cranks), this firearm is not considered an NFA machine gun. Because an advancement of the crank is required for each shot to be fired, this Gatling is not subject to the severe restrictions imposed on Class III arms. 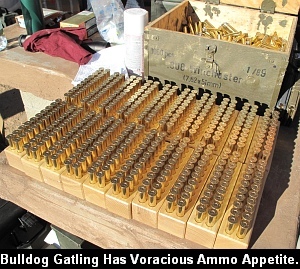 You can purchase a Bulldog Gatling, so long as you would otherwise qualify to legally own a long gun. Three things surprised me about this Gatling. First was the stunning appearance of the unit. It is beautifully machined and every polished metal component shown like gold in the morning sun. The stability of the unit was also surprising. Because the Bulldog is so big and heavy, it barely bobbles as it sends round after round through its five barrels. And surprisingly little force is required to work those barrels. The crank spins easily. 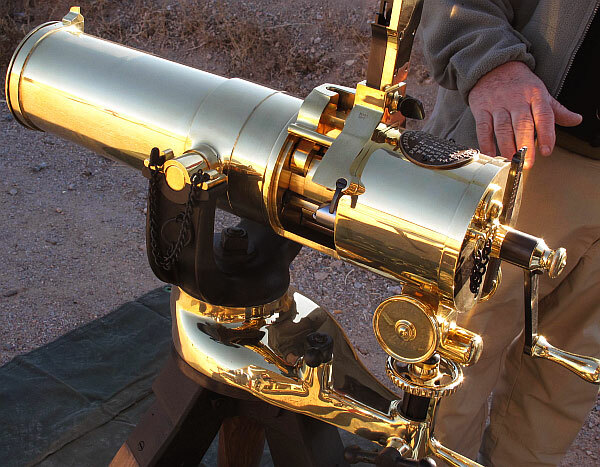 I could see how a trained team of Gatling operators could, back in the 19th century, burn through thousands of rounds of ammunition in a few minutes. 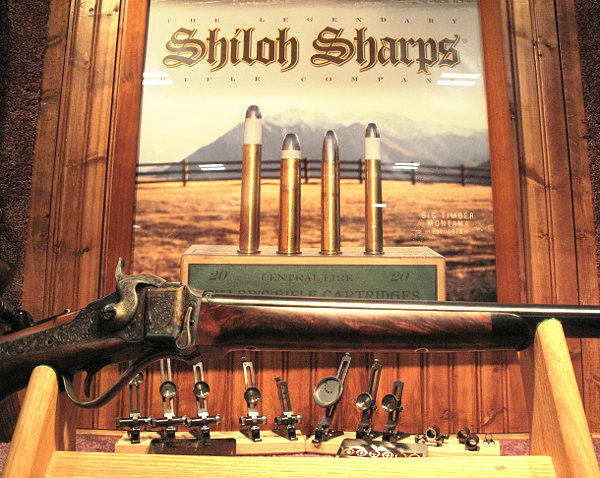 Share the post "SHOT Show Media Day — Firing Off the Bulldog 1877 Gatling Gun"